Anxiety Disorders In Children | ESA Co.
Anxiety is a widespread psychological disorder that affects many people around the world. Symptoms of anxiety can vary from minimal to debilitating. A lot of the times, older people find ways to deal with the problems. But what about the anxiety that occurs in children? It is being reported that anxiety disorders affect one out of every eight children by the Anxiety and Depression Association of America. It is troubling when children encounter symptoms of anxiety because it affects them in social situations where they are still learning and adapting to the world around them, which may be detrimental to their growth in the future. This article will look at some of the major anxiety disorders that affect children and the major causes that trigger these disorders. 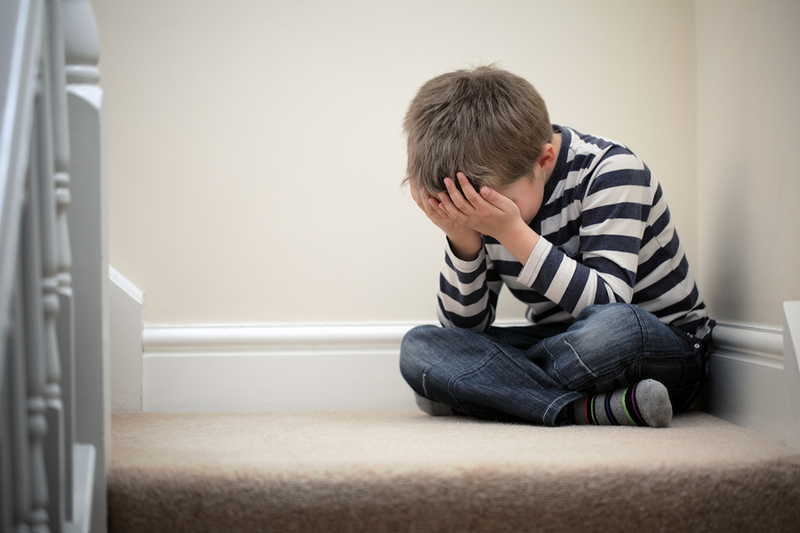 Separation Anxiety might be the first possible bout with anxiety any child may have. This anxiety is onset between the newborn months to toddler. Separation anxiety occurs when a mother, father, or other caregiver leaves from the sight of the child. Since the child is basically dependent on another person, a child will encounter feelings of anxiety when that person leaves. It is very common amongst newborns and younger children. It may be the case that an older child may have separation anxiety though, such as being left at school or a sports team for the first time. Usually, these feelings subside once the child melds into the environment and begins interacting with others. If the child is older and has extreme emotional attachment, it may be a diagnosed as separation anxiety disorder. PTSD in children is the same disorder that occurs in adults. PTSD occurs when a child witnesses or experiences a severely traumatic or life-altering event. That is not to say that every child that goes through a traumatic experience is going to experience PTSD though. Cases of children with PTSD usually occur when the child is in the center of the experience. PTSD often is accompanied with flashbacks or the reliving of the traumatic event. This leads to numerous adverse mental and psychological effects, such as nightmares, difficulty sleeping, fear, and irritability among other symptoms. Social Anxiety Disorder is another disorder which children can encounter as well as adults. Social anxiety is characterized by the intense fear and worry when placed in a situation with people that they do not know well. It can be compared to “stage fright”, a situation in which a person, who receives the attention, is unable to perform in the way that they normally perform. A child with social anxiety may be perfectly fine in a situation that they are familiar with, but close up when they enter new environments or locales. The problem with having social anxiety a child is that the consequences affect the child’s future social life. If a child suffers from social anxiety, then they might not be able to interact with their peers, which may affect their drive for education or athletics. There are many factors that may contribute to anxiety disorders in children, both environmental and genetic. 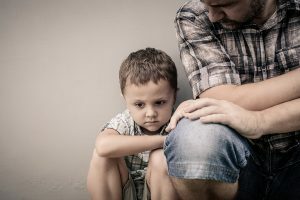 As we have looked at with Post-Traumatic Stress Disorder, an event that occurred outside the control of the child is going to be the direct cause of the disorder. On the other hand, some other forms of anxiety are caused through biological and genetic means. Being placed in certain situations can also be attributed to the cause of some anxiety disorders. It is hard to say if a child will experience anxiety disorders. If a parent or family member has an anxiety disorder, it is not necessarily the case that the child will experience any form of anxiety. There are different ways to handle a child with anxiety disorders, similar to the ways an adult can deal with them. Medication is one way to balance out certain hormones that would combat the emotions and feelings cause by the anxiety. Cognitive behavior therapy is also another way, in which the child is talking to a therapist and identifying the adverse thoughts in order to replace that behavior. If a child experiences forms of anxiety, it may just be the case that there needs to be a companion in their lives. This companion may come in the form of a person or an animal. If you feel that animal therapy is a way to combat your child’s anxiety, check out EmotionalSupportAnimalCo.com for more details.